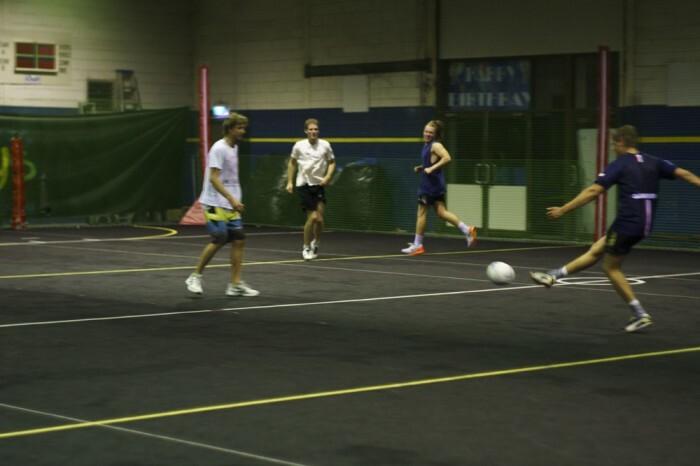 Our indoor soccer season runs for approximately 15 rounds and the stadium emphasis is on fun & enjoyment, social but competitive sports. 5-a-side Competitions are on Wedesday, Thursday and Sunday nights. Within the competitions we have a large diversity of teams ranging from work groups playing for social get together, to groups of friends & family playing for exercise. With soccer being a fast, skilful & athletic sport it’s perfect for all age groups! Enter two teams during the week and only pay half price for the second game. Teams can be entered on Wednesday, Thursday or Sunday nights. Pay full price ($84) for your first game of the week and then only $42 for your second.